Dear David. Great post! I only struggle with the range. 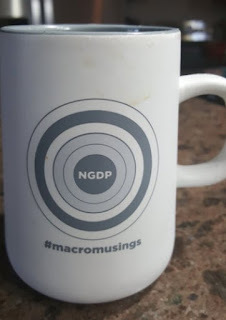 You correctly mention that an inflation target range, properly done, comes close to NGDPLT. But, the qualification is important. In Switzerland the range (0-2%) has been used to argue that temporarily low inflation is well within the range considered as price stability. At the wrong time (e.g. in a downturn) this view can severly reduce the effectiveness of monetary policy as we can observe in the SNBs balloning balance sheet. What is your view on this? Would you think that introducing a range is enough and policy makers would then understand that it requires an inflation overshooting in a recession? Is it "Jay" or "Jerome" Powell?